Since the publication of Mark Singleton’s Yoga Body, the yoga world has been swirling with the notion that the postural practice you’ll find in today’s fitness centers is not nearly as old as we’ve liked to imagine. With the release of Singleton’s collaboration with James Mallinson—Roots of Yoga—the jury is still out on the precise role of yoga poses in the practice’s long and varied history. It is nevertheless plain to see that yoga’s root system is far more extensive and complex than even the most respected popularizers, such as B.K.S. Iyengar’s midcentury classic Light on Yoga (1966), would have us believe. However, long and varied as yoga’s history on the Indian subcontinent may be, its comparatively short residency on American soil is no less interesting. Early American yoga—a concept held together only by the fact that it appears to belong to a cast of characters who call themselves yogis—oscillates between the menacing and the marvelous, the magical and the mechanical, the strange and the familiar. Here are five facts from the world of early American yoga. Nineteenth-century American audiences largely imagined yogis as magicians and ascetics reclining on their beds of nails. To explain these wonders in light of modern demands of science and rationalism, they tended to attribute the yogi’s abilities to their highly developed hypnotic powers, which allowed them to exercise control over his own mind and body but also those of others. 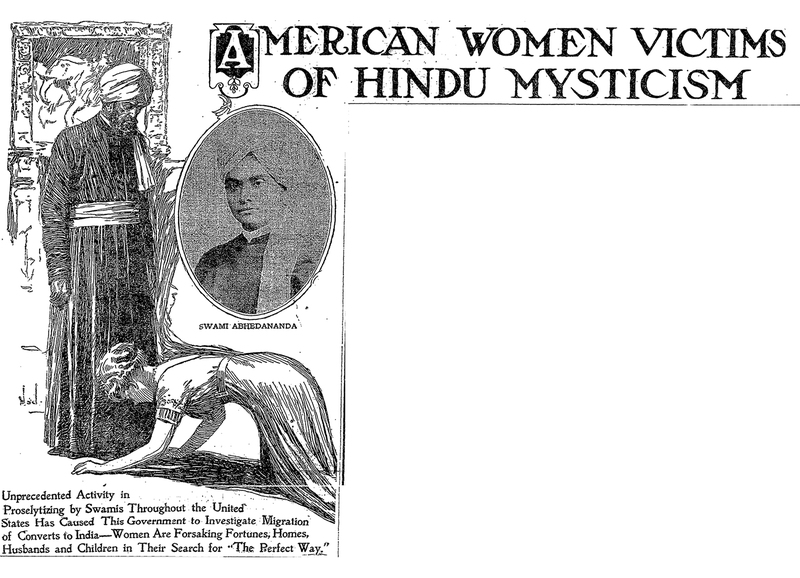 When actual flesh-and-blood yogis began arriving on American shores, the same audiences were equally fascinated and terrified by their potential powers. Popular media churned with stories of women going hopelessly insane after having attended a lecture by this or that Swami. Husbands and children were abandoned and fortunes signed away under the hypnotic sway of the yogi’s sinister gaze. For all the panic over their sinister powers, yogis—or less threatening white imitators—became some of America’s first superheroes. Arguably the first such character appeared on radio and the silver screen rather than the pulp page. Chandu the Magician, born Frank Chandler, was an American who traveled to Tibet to learn Eastern magic from a yogi Master—or several, the details are not consistently clear—and returned endowed with superpowers and a turban that aided him through a myriad of mysteries and adventures. After Chandu’s debut in the early 1930s, a literal army of comic book imitators followed. At least seven superheroes who had traveled to the Orient and returned wearing some combination of a tuxedo, a cape, and a turban appeared by 1940. 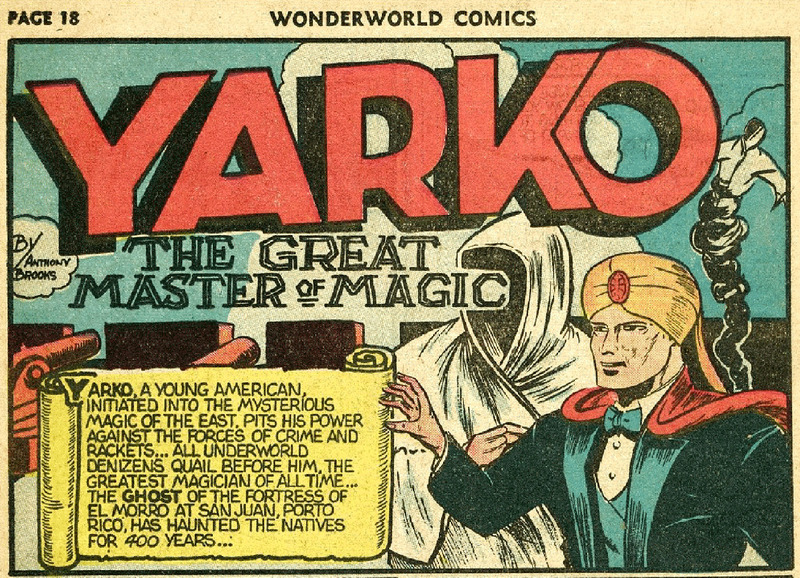 Yarko the Great, a stage magician with real magical powers, created by Will Eisner of Wonder Comics in 1939. Public domain via notasdecine. Hypnotism and superpowers aside, early transnational yogis were incredibly interested in substantiating their metaphysical claims in the language of modern science. While visiting the US Swami Vivekananda enjoyed a tête-à-tête with none other than Nikola Tesla. The Swami left the meeting excited by Tesla’s promise that he could mathematically demonstrate that force and matter are reducible to potential energy (thus theoretically supporting some of the Swami’s loftier claims) and Tesla was inspired to write a short essay on “Man’s Greatest Achievement,” which argued that humanity was on the verge of scientific discoveries that would endow humans with god-like powers. Some forty years later, Paramahansa Yogananda would fill his spiritual classic, Autobiography of a Yogi, with similar claims by appealing to the work of Einstein. Early physical practices prescribed by yogis on American soil often did not resemble the yoga postures of today. 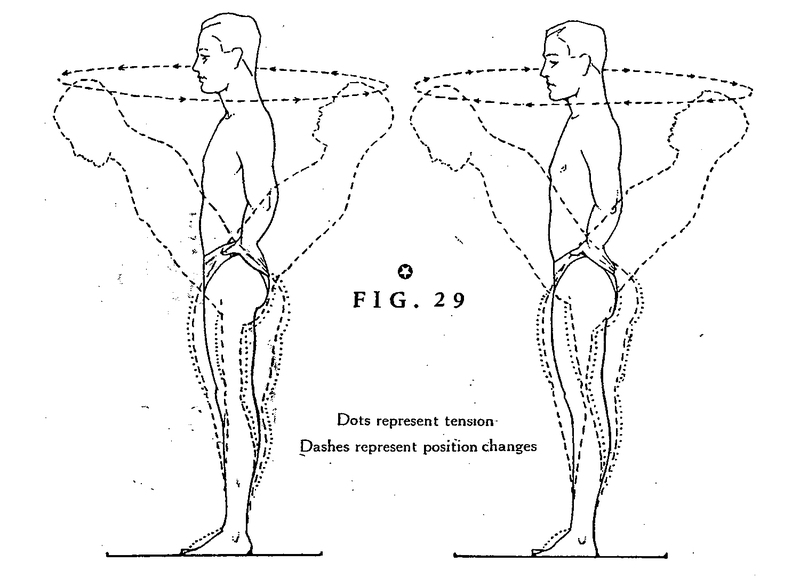 As illustrated above, Yogananda as well as several of his contemporaries relied on basic exercises from European systems of calisthenics to provide a physical dimension to their systems of practice. Half a world away, Indian innovators such as Tirumalai Krishnamacarya and Sri Yogendra were coopting more complex European gymnastic forms to supplement their repertoires of asanas. Indeed, Yogendra’s manuals on yoga—among one of the first when they were published in the late 1920s—openly referred to multiple contemporary European and American systems as comparable but ultimately inferior (due to their lack of systematic reliance on breath) to his own. The physical postures that we recognize today as yoga asanas would have been likely to be identified as dance poses by early-twentieth-century Americans. The ubiquity of a system of physical expression known as Delsarteism, the rising popularity of “Oriental dance” as an exercise regimen and general pastime of middle-class American women, and the flourishing exchange between Indian and Euro-American traditions of physical culture created a whirlwind of bodily expression that, by the 1920s, birthed modern yoga in India on the one hand, and modern dance in America on the other. It would take another few decades before Americans fully came to associate the light dance-like gymnastics practiced by middle-class American women with the breath-driven asanas introduced to them by the second-wave of transnational yogis. 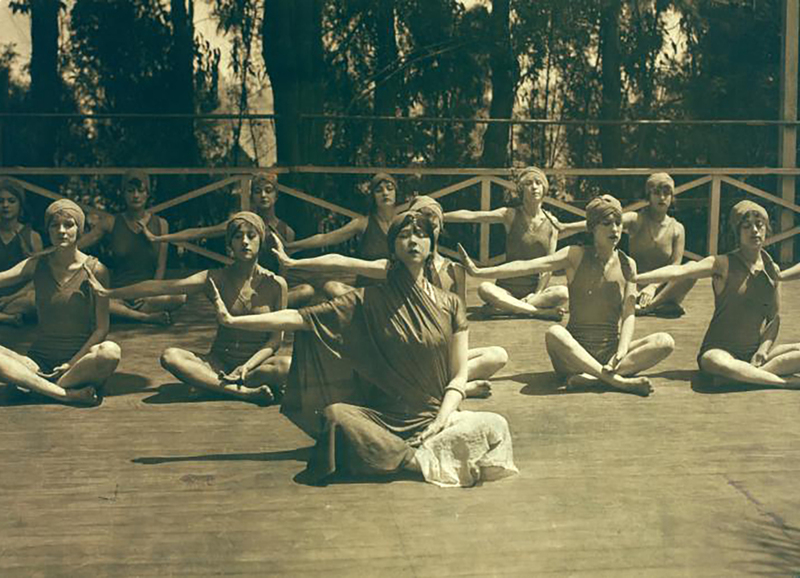 American dancer Ruth St. Denis teaches a “yoga class” Denishawn school in Los Angeles, 1915. Public domain via the New York Public Library. Featured image credit: Yoga Uyuni Salt flat by Farsai C. Public domain via Unsplash. Anya P. Foxen teaches in the Religious Studies Program at California Polytechnic State University, San Luis Obispo. She holds a Ph.D. from the University of California, Santa Barbara and is a certified yoga instructor and long-time practitioner. 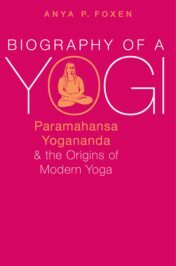 She is the author of Biography of a Yogi: Paramahansa Yogananda and the Origins of Modern Yoga.